Quick and easy Healthy Mexican Style Pizza. Similar to a burrito, but as a flatbread tortilla pizza. Homemade tomato bean sauce, rotisserie chicken, cheese, avocado, cilantro and light sour cream. Within this post you’ll make a healthy Mexican style pizza. Plus you’ll learn a recipe hack to make your own tomato bean pizza sauce. Mexican food and pizza may be some of my favorite comfort foods; so rich and flavorful, and reminds me of favorite family meals growing up. Nowadays I’m focusing more on healthy eating. 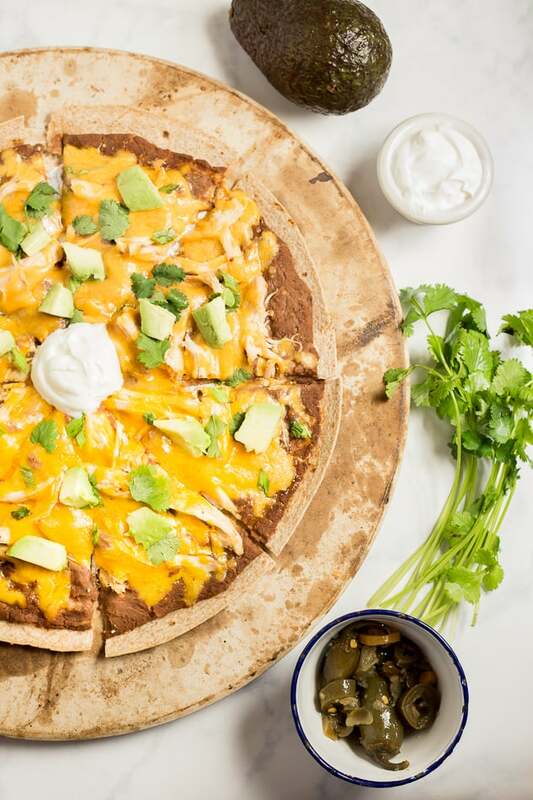 This Healthy Mexican Style Pizza with Chicken takes the best of both worlds and combines them into a quick and healthy dinner. While at first this may simply seem like an unrolled burrito, it’s so much more. It’s got all the essentials of a burrito but combined in a unique way, with some quick recipe hacks to make pizza prep even easier. I recommend using store-bought rotisserie chicken. 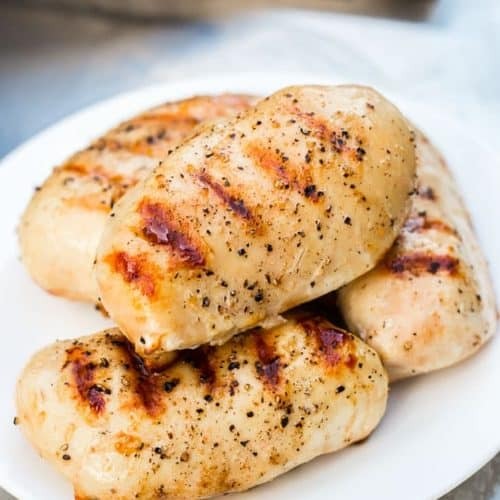 You can bake your own moist chicken breasts, but a precooked chicken is already seasoned and ready to go, saving valuable time. The unique things about this Mexican style pizza is the homemade tomato bean sauce. I used canned ConAgra Foods Hunt’s Diced Tomatoes and Rosarita Low-Fat Refried Black Beans. These are great for easy and delicious comfort meals, even on a busy weeknight. Top with shredded cheese and fresh produce (preferably organic), like green onion and avocado. 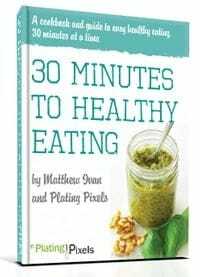 Layer over whole-wheat tortillas and bake into a crispy, thin crust Healthy Mexican Style Pizza. Slice and garnish with fresh cilantro and sour cream. 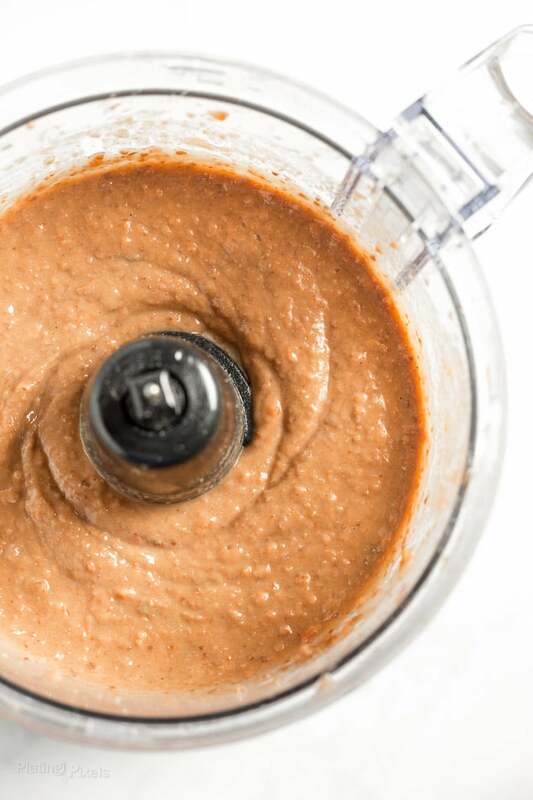 A recipe hack to make your own bean sauce is to blend the ingredients in a food processor. 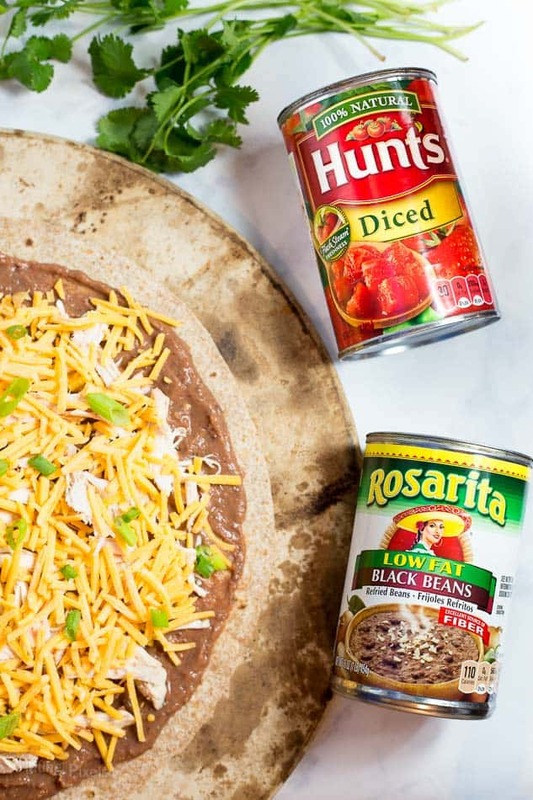 Similar to a homemade hummus, blend the diced tomatoes and beans to make a smooth and creamy sauce for this Mexican pizza. Add in spices and pickled jalapenos to infuse with even more flavor. Dietary Options/Substitutions: For vegetarian omit chicken. For gluten-free use GF tortillas. Quick and easy healthy Mexican style flatbread tortilla pizza. 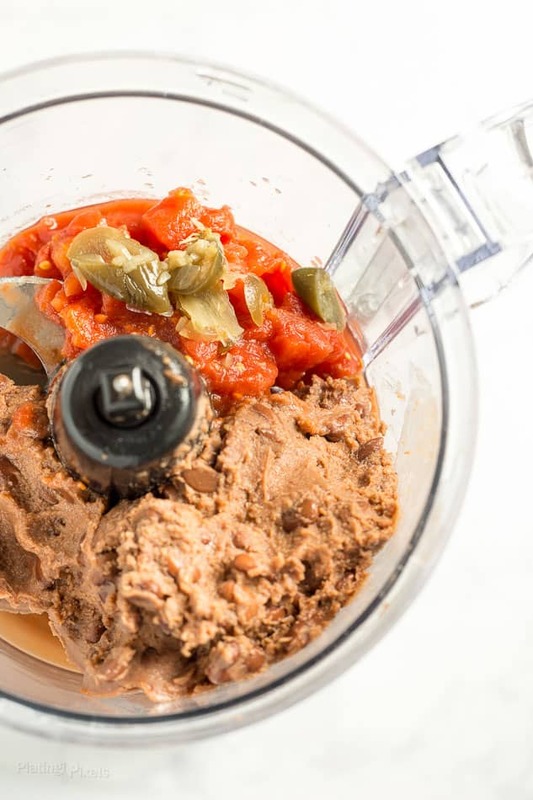 Preheat oven to 425° F. Place diced tomatoes, beans, cumin, pepper and jalapeno in a food processor. Pulse until blended and smooth. 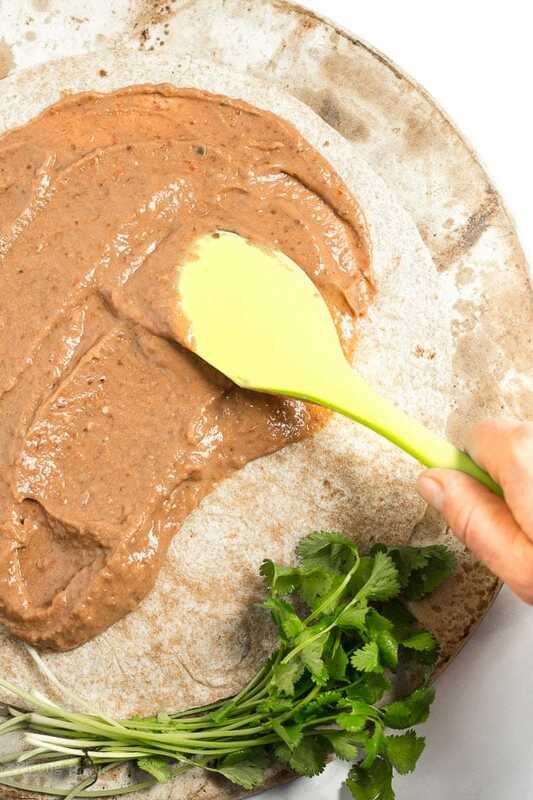 Evenly spread bean sauce onto tortillas, leaving about ½-inch from edge. 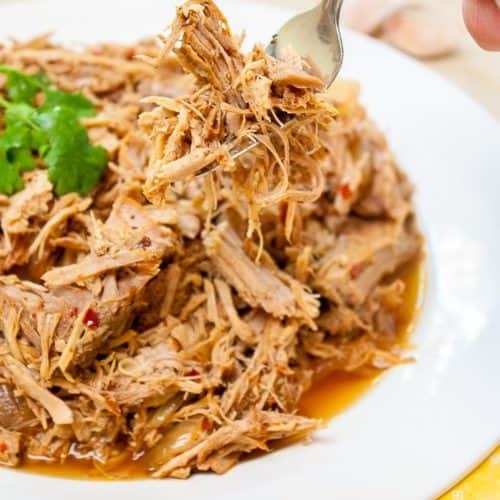 Top with desired amount of cooked, shredded chicken. Sprinkle with even layer of cheese, then top with green onions. Bake pizzas for 12 minutes, or until cheese is melted and tortilla is crispy. Remove from oven and top with avocado, cilantro and sour cream for garnish. Slice and serve immediately. It’s super yummy and would be fun for cinco de mayo…or any time! Thanks Shirley! This looks fantastic! I love your photos. Cilantro is disgusting to many people. It tastes like dish soap. They should list it as optional. Otherwise is looks good. That’s totally up to you and it could easily be omitted. Interesting how flavor preferences work, cilantro is one of my favorites! Thanks Mark. This looks delicious!!! I really want some Mexican now! Me too and it totally is! Thanks Warren! I do a similar thing for the sauce except I use salsa and beans together. We also will crumble tortilla chips on top so I is almost like eating a taco. Thanks for sharing! This has me craving Mexican now! Yum! I’m always in the mood for Mexican food! Hope you like it, thanks Noemi! They’re some of my favorites too! Healthy and tasty is the best. Thanks Amber! Yum! This sounds so good! My family will love it! I’m pretty sure you will! Thanks Candy! This looks so delicious – I love everything about it! It totally could. Similar flavors but still different. Thanks Marlynn! YUM this looks so good! Mexican Pizzas are the best. They totally are! Thanks Cait! It sure is! Thanks Cassie! I love the idea of blending it all together to make the sauce. I’m pinning this! 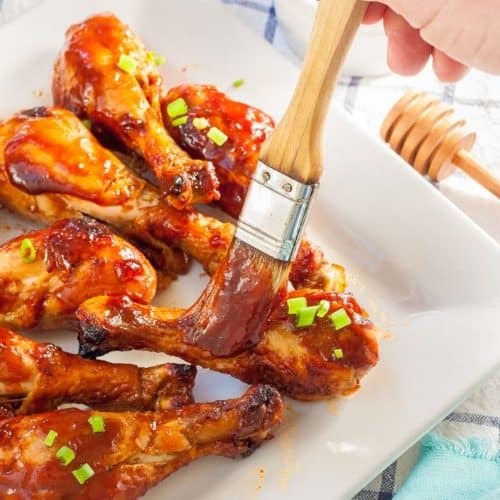 It’s super flavorful and works perfect as a sauce. Thanks Kristen! This looks really good. I have never had a Mexican style pizza but after reading this I am going to give it a try. It also seems easy and I like easy. Plus I love pizza so I think this will be a nice change. It’s super easy and you should totally try this. Hope you like it and thanks Christine!